The Pixel Launcher's At A Glance widget shows the day, date and information related to the weather, including the temperature. Tapping on the day and date will open the calendar while tapping on the weather information will take you to Google's weather app. The widget also alerts you to a calendar appointment, an upcoming flight (including the boarding time) and unusual traffic changes. 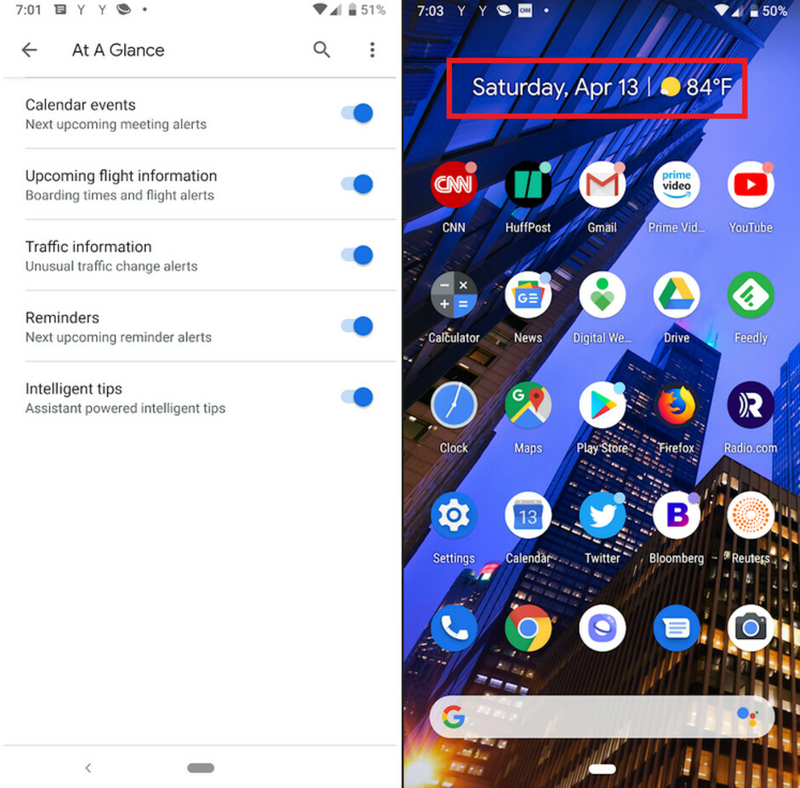 Now, the At A Glance widget has some new features. Long press on the widget and tap on preferences and you'll see all of the available information that the widget can display. This includes Calendar events, Upcoming flight information, and Traffic information along with two new features: Reminders and Intelligent tips. The former will show you the next upcoming reminder alerts. For example, let's say you set a reminder to alert you when you can take Tylenol again; this will show up on the widget. The latter reveals intelligent tips powered by Google Assistant. We're guessing that these are suggestions about what features available on your phone use should use in certain situations. Right now, both of these new features are not working even though they are listed as preferences for the widget. You might recall that last year, Google made the At A Glance widget available to some non-Pixel models. I really don't understand why to bait the articles if you already write good articles.